"53 countries, oh my goodness! It'll keep us busy." HBO has debuted a trailer for a new documentary titled Queen of the World, from director Matt Hill, which will be available (in the US) through HBO in just a few weeks. This is described as the "landmark documentary" about Queen Elizabeth II, a "rare look inside the life of Queen Elizabeth II featuring footage from the Queen and the Duke of Edinburgh's private film archives." The film includes behind-the-scenes moments with The Queen and other major members of the Royal Family, including Prince Charles & Camilla, Duchess of Cornwall; Princess Anne; Prince William & Catherine, Duchess of Cambridge; Prince Harry & Meghan, Duchess of Sussex; and the Countess of Wessex. It's a look at what it takes to be the "Queen of the World" and what it's like inside the hallowed halls of her various estates. This is a very brief and light trailer, they know the audience they're playing to with this film. Produced by Oxford Films, Queen of the World will offer unique insights into Her Majesty The Queen’s role as a figure on the global stage, and the baton she is passing to the younger members of the Royal Family as they continue to build upon the Commonwealth, an association of free and independent nations, the majority of which were formerly part of the British Empire. Today, there are 2.4 billion Commonwealth citizens, which is almost one-third of the world's population. 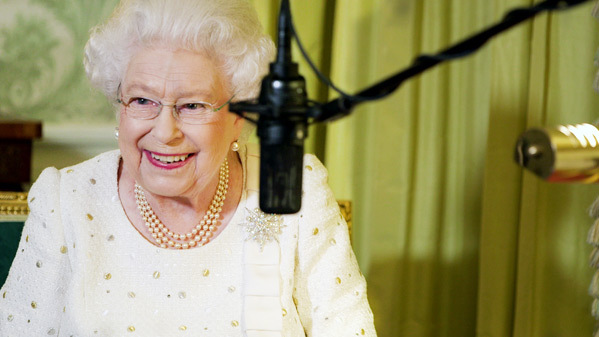 Filmed over more than a year with privileged access to The Queen, her family, her staff and her residences, this landmark documentary tells the story of how the Commonwealth has been a central focus and passion throughout Her Majesty's life. Queen of the World is directed by filmmaker Matt Hill, of various TV doc shows including episodes of "Oh! You Pretty Things: The Story of British Music and Fashion" and "A History of Art in Three Colours" previously. HBO will release Queen of the World streaming exclusively starting October 1st coming up. Who must see this?